Taking as reference the arguments of the Executive Branch, the Constitutional Chamber of the Supreme Tribunal of Justice (TSJ) passes judgments that serve to dismantle the National Assembly’s initiatives. For example, the ruling number 460 issued on 9 June against the Special Law to Address the National Health Crisis. 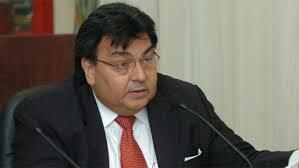 The first reasoning presented by Justice Calixto Ortega to block the application of the rule, points out that the measures that are issued to address the shortage of medicines and medical supplies “are part of the material scope of the regime of the state of exception and, therefore , are reserved for the President of the Republic”. The declaration of that state of exception was rejected by the parliamentary majority; nevertheless, the TSJ imposed its validity. In previous judgments, the Constitutional Chamber of the TSJ limited the control functions of the National Assembly. Ortega relies on that point to warn “no constitutional precept empowers the National Legislative Body to establish parliamentary control mechanisms in addition to the presentation of the annual report and accounts.” It thus denies the intention of parliamentarians to demand the government to submit a report every two months on its policy to solve this problem. The maximum interpreter of the Magna Carta, through another ruling, reformed the Internal and Debates Regulation. Based on that modification that the Justices decided, Ortega says that the deputies failed to comply with the process of formulation of laws “by not carrying out mandatory consultation with the National Executive in order to determine the economic viability of law”. President Nicolás Maduro announced on 31 May that he would sue the National Assembly directorate for usurping his functions. “A lawsuit with immediate protective action because they intend to go to request the intervention of Venezuela in international organizations betraying the country and without institutional powers to represent Venezuela abroad,” Maduro said, questioning the initiative of the parliament to promote the application of the Inter-American Democratic Charter by the Organization of American States (OAS). The decision of the Constitutional Chamber to curb the Special Law to Address the National Health Crisis, argues that the instrument seeks to “usurp competencies attributed to the President of the Republic in terms of government action in the area of states of exception, as well as in terms of international relations”. The latter because, according to his point of view, “establishes the obligation of the National Executive to accept international cooperation”. 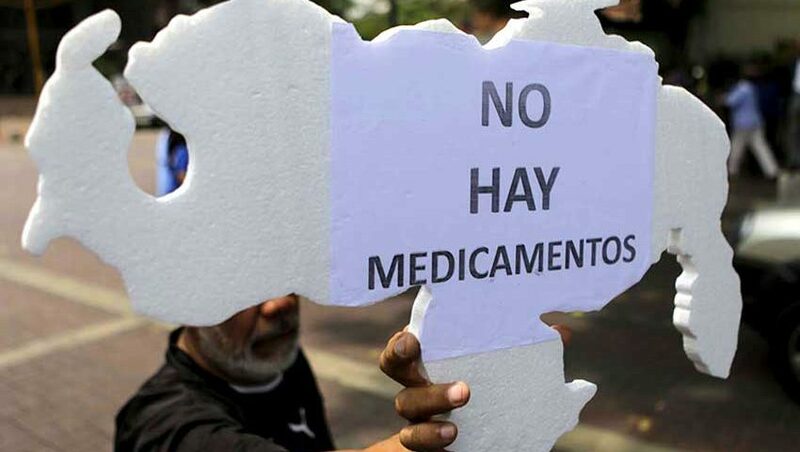 At the time of issuing this ruling, the Venezuelan Medical Federation (FMV) records that the shortage of medicines in pharmacies and hospitals is 90%. “Every day, physicians from the country’s 300 hospitals report 2 to 3 deaths due to a shortage of medicines, which is why we demand that the government accept humanitarian aid”, Douglas León Natera, president of the FMV, requested on 16 June. UNCONSTITUTIONAL the Special Law to Address the National Health Crisis, by usurping powers attributed to the President of the Republic in terms of direction of government action in the area of states of exception, as well as in terms of international relations. Moreover, for establishing mechanisms of parliamentary control over the National Executive other than those provided for in the Basic Text, for breaching the procedure for forming laws envisaged in its Internal and Debates Regulations and to obviate the binding criterion established by this Constitutional Chamber in judgment N° 269/2016, by not making the mandatory consultation to the National Executive in order to determine the economic viability of law”. President of the Republic Nicolás Maduro. Nullity for unconstitutionality of the law.